East Iceland is a vast area of incredible natural beauty, striking contrasts and fascinating history and culture. It is home to the remote and beautiful East Fjords, many small fishing villages, and an array of wildlife. East Iceland has just a few settlements with significant services. The main one of these, considered to be the capital of the region, is Egilsstaðir. 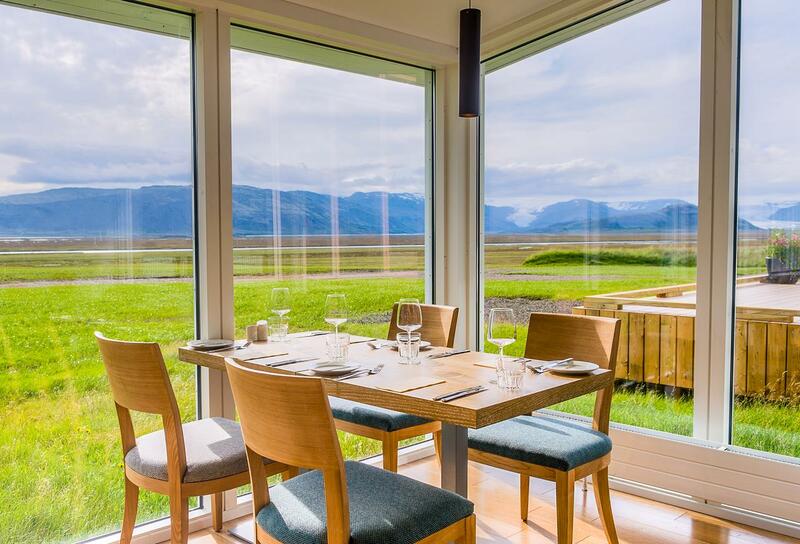 Egilsstaðir has restaurants, museums, shops, petrol stations and an array of accommodation options to suit all budgets. It is also home to an airport, meaning those with limited time or without a driving licence can easily reach it from Reykjavík. Seyðisfjörður is another settlement of significance, with services for travellers, and a ferry that goes to Scandinavia. Djúpivogur is another wonderful town that visitors can refresh themselves at. East Iceland is home to the Kárahnjúkar hydroelectric power station, which provides many of the towns with energy. 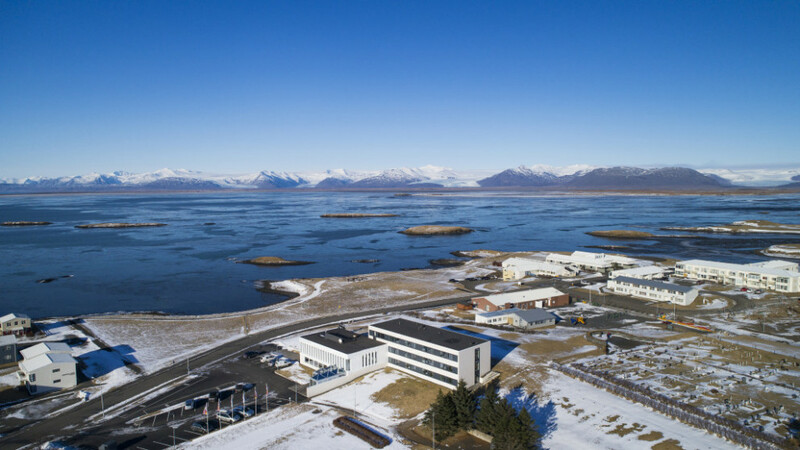 The construction of this has led to a hot debate on Iceland’s ecological footprint and continues to do so, considering that it provides fuel to a controversial aluminium smelter nearby. East Iceland is characterised by many fjords, surrounded by steep mountains. Fishing villages can be found nestled in most of them. Inland, however, is just as beautiful, with much of it being a fertile agricultural area. Woodlands of birch can be found here, the most famous being Hallormsstaðaskógur, the largest forest in Iceland. By this forest, and the town of Egilsstaðir, is the lake Lagarfljót, said to conceal a terrible monster. Many rivers run through the district, and by their estuaries, colonies of seals may be found. The fertile waters also provide food to whales and dolphins, which can infrequently be seen from shore. The impressive mountain Snӕfell, Iceland's highest freestanding peak, can be found in the east. Near here is the highland oasis Eyjabakkar, one of the world's largest nesting places for the pink-footed goose. Reindeer roam the mountains of East Iceland, and this is the only place they can be found. Initially brought over for farming, the industry was never lucrative, and they have roamed free ever since. Many migratory birds are found both inland and in the cliffs in summer, including the elusive puffin. Vatnajökull, Europe's largest glacier, stretches to the borders of East Iceland and can be seen across much of it. Of particular cultural note in the Fljótsdalshérað district is the cultural and historical centre Skriðuklaustur. In the Middle Ages, a monastery stood here, making it the region’s religious centre. In the 20th century, Icelandic author Gunnar Gunnarsson made it his home. Gunnar wrote many masterpieces, including Aðventa, or The Good Shepherd, Svartfugl, or The Black Cliffs, Saga Borgaraettarinnar, or The Saga of the One-Eyed Guest, and the autobiographical novel cycle Fjallkirkjan, which has been translated under different names, such as The Church on the Mountain, Ships in the Sky and The Night and the Dream. The culture of the East today is largely defined by festivals. Seyðisfjörður hosts the annual music festival LungA. The settlement of Neskaupsstaður also hosts two highly popular annual festivals, Neistaflug and Eistnaflug. North Iceland is a beautiful region, hosting some of the best attractions on the island. Home to the Lake Mývatn region, the town of Akureyri (otherwise known as the 'Capital of the North'), the whale-watching hot-spot of Húsavík and the northern parts of Vatnajökull National Park, the North attracts visitors throughout the year. It is divided by fjords and mountain ranges into many beautiful regions. Within the bay of Eyjafjörður is Akureyri, a town of 17,000 inhabitants. It is the largest settlement outside of the Greater Reykjavík Area. It is easy to reach via the Ring Road, and many cruise ships land in the port of the town. The older part of Akureyri is particularly worth a stroll, as it contains many historic buildings. The town is also home to many interesting museums, galleries, and the world’s northernmost botanical gardens. If you like skiing or snowboarding, one of the best skiing sites in the country is located nearby. Siglufjörður straddles the border of Eyjafjörður and Skagafjörður and is most famously home to a charming settlement of the same name. Other than its natural beauty, with huge cliffs bordering the town, Siglufjörður is renowned for its fascinating museums. There is a folk music museum, which comes alive during an annual festival, and the Herring Era Museum. The latter is the only Icelandic museum to win an international award and is much more interesting than it sounds; it explains how Iceland managed to survive a millennium in such harsh climes by relying on the seas. The Vatnsnes Peninsula gets its fame for two reasons. Firstly, it is the best seal-watching location in the whole country, with colonies hauling out throughout the year. In the town of Hvammstangi, you can visit the Icelandic Seal Centre to learn more about these animals. It is also famous for hosting the coastal rock formation of Hvítserkur. This bizarre feature is said to be a troll frozen by the light of the morning sun, but to most, it appears to be more like an elephant drinking from the ocean. Þingeyjarsýsla county is home to many incredible sites, particularly due to the fact that the Lake Mývatn region is nestled within it. This beautiful area is renowned for its lava formations, pseudocraters and rich birdlife. Near Mývatn is the impressive lava field Dimmuborgir, which was featured in the Game of Thrones series. There is also the incredible waterfall Goðafoss, a beautiful feature between Lake Mývatn itself and Akureyri. Húsavík is a nearby town, considered the whale watching capital of Europe. In summer, many operators see Humpback Whales every time they leave the port. The Jökulsárgljúfur Canyon is home to some of Iceland's most beloved natural attractions; the river Jökulsá á Fjöllum runs through it and holds several waterfalls including Europe's most powerful, Dettifoss. Nearby to here is the spectacular, horseshoe-shaped Ásbyrgi canyon. Far north, straddling the Arctic Circle is Grímsey island, the northernmost inhabited territory of Iceland, with a population of about 100 people. It is renowned for its fishing, its rich vegetation and birdlife, particularly puffins. Akureyri, ‘The Capital of the North’ is a town in the fjord Eyjafjörður in North Iceland. It lies just 100 kilometres (62 miles) away from the Arctic Circle. It is Iceland’s second-largest urban area with a population of about 17,800. Akureyri is an important fishing centre and port, but in the last few years, tourism, industry, higher education and services have become the fastest growing sectors of the economy. An airport is located about three kilometres (two miles) from the centre and a large number of cruise ships lay anchor in its busy harbour. Traditionally Akureyri has survived on fisheries and some of Iceland’s largest fishing companies such as Samherji, have their headquarters there. Other large companies are also based here, such as Vifilfell hf, the largest brewery in Iceland, which produces the famous Kaldi beer. FSA/Akureyri Hospital is a significant employer in the area and is one of two major hospitals in Iceland. 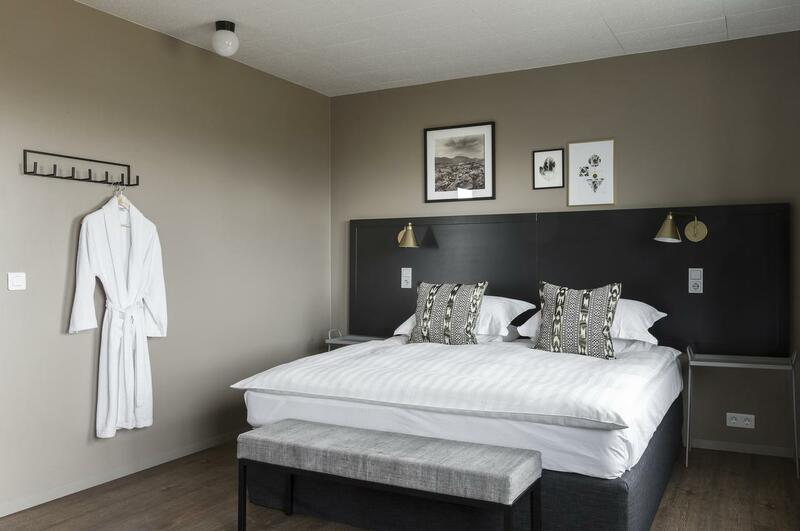 Akureyri has excellent facilities for travellers and is located a short drive from many of Iceland’s top natural, cultural and historical attractions. Additionally, one of Iceland's best skiing sites is found by Akureyri, at Hlíðarfjall and it is the location for Ak Extreme, an annual skiing and snowboarding festival. Akureyri is surrounded by mountains, the highest one being Kerling at 1,538 metres (5,064 feet). The area around it has rich agriculture and a beautiful mountain ring. The island of Hrísey sits in the middle of Eyjafjörður and Grímsey Island, which straddles the Arctic Circle; both islands belong to the municipality of Akureyri. 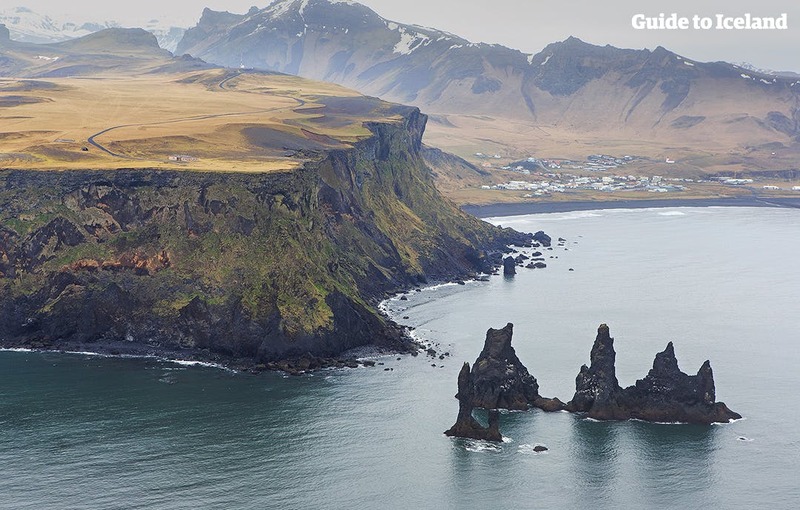 Hrísey is often called 'The Pearl of Eyjafjörður’ and Grímsey 'The Pearl of the Arctic', and these beautiful and peaceful islands are highly popular with travellers. 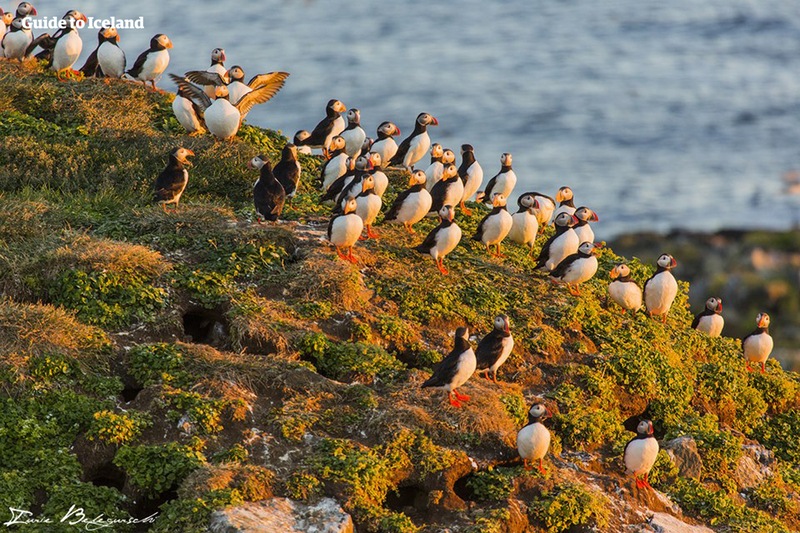 Both are also home to many puffins. 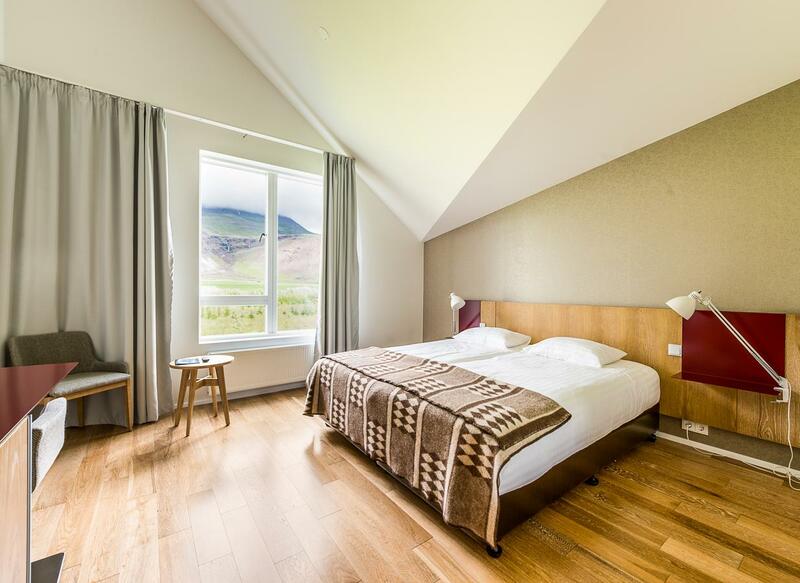 Furthermore, Akureyri is a very popular place to stay due to its proximity to the Lake Mývatn. 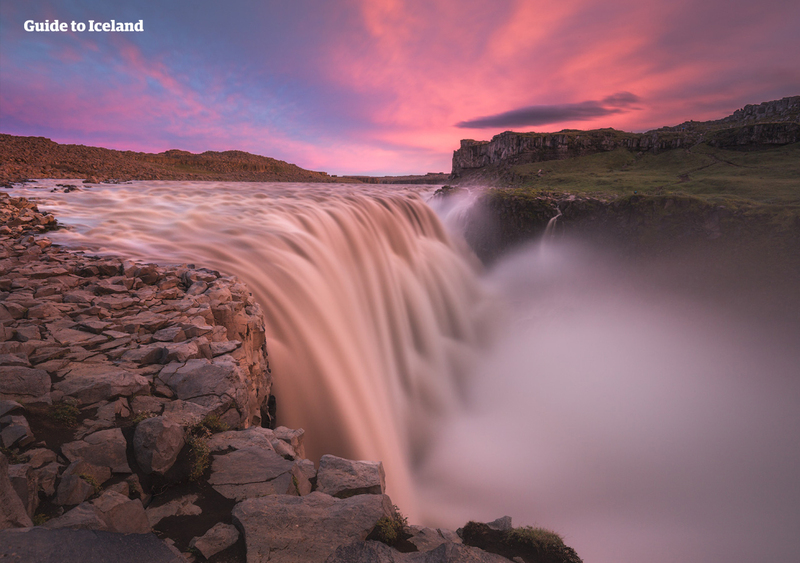 This is one of the country’s most popular destinations, due to its incredible natural beauty, intense geothermal activity, a wealth of birdlife and many surrounding sites, including Dettifoss waterfall, the most powerful waterfall in Europe. It is also close to the seal-watching capital of Iceland, Hvammstangi, on the Vatnsnes Peninsula. This peninsula is also home to the captivating ‘elephant rock’ formation, called Hvítserkur. The convenience of Akureyri is added to by its position on the Icelandic Ring Road, a route that encircles the country, passing almost every major destination. This means that reaching it from Reykjavík is little trouble, even in winter and the journey takes just under five hours. During World War II, Akureyri was an essential site for the Allies and the town grew considerably after the war, as people increasingly moved to urban areas. 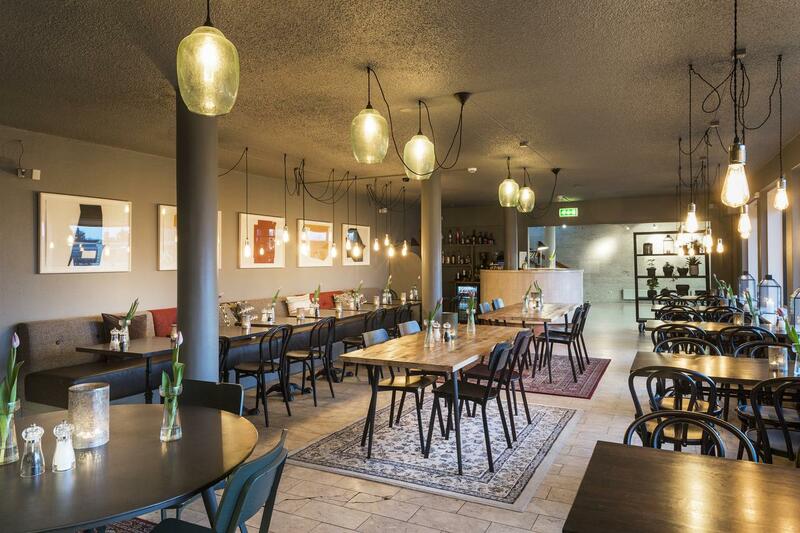 Akureyri has an active cultural scene, with several bars and renowned restaurants as well as frequent concerts and shows. During the summer there are several notable festivals in Akureyri and its surroundings such as the Vaka Folk festival. Sites of interest in Akureyri include the brand-new Hof concert hall, many museums and the Christmas house which is open all year round. The city boasts the world's northernmost botanical gardens which are located close to the swimming pool which is worth a visit. Akureyrarkirkja church sits in a prized position halfway up the hill upon which most of the city is built. It was completed in 1940 and was designed by one of Iceland's most famous architects, Guðjón Samúelsson, who also was also responsible for arguably Iceland's most famous church, Hallgrímskirkja in Reykjavík. Vatnajökull glacier is the largest glacier in Europe, covering 8% of Iceland’s landmass. It is the central feature of the Vatnajökull National park, found in the south west of Iceland, a popular spot for activities like glacier hiking from Skaftafell, boat tours in the Jökulsárlón glacier lagoon, and ice caving tours between November and March. Vatnajökull has a surface area of approximately 8,100 square kilometres (3127 square miles); though it is rapidly shrinking due to climate change, its recession is not quite as advanced as at other glaciers, such as Langjökull and Mýrdalsjökull. In parts, it is a kilometre deep (over three thousand feet), and its average thickness is around half of that. Vatnajökull also holds the tallest peak in Iceland beneath its ice; Hvannadalshnjúkur is 2,200 metres tall (7,218 feet). It also conceals some of the most active volcanoes in the country, the most notable being Grímsvötn, Öræfajökull and Bárðarbunga. Volcanic activity in the region has occurred on and off throughout the centuries, and many geologists believe that several eruptions are overdue. If their calculations are correct, it would mean significant volcanic activity for Vatnajökull over the scope of the next half-century. Depending on winds, this could result in worldwide consequences in terms of air-travel, agriculture and the general climate. The glacier boasts over 30 outlet glaciers, which are channels of ice that flow out of ice caps but remain constrained on the sides of the valley. The major outlet glaciers of Vatnajökull include Dyngjujökull in the north, Breiðamerkurjökull, and Skeiðarárjökull to the south. To the west, one can find the outlet glaciers Síðujökull, Skaftárjökull and Tungnaárjökull. Vatnajökull National Park was established in June 2008 and has slowly grown to include more and more areas. The park now covers an area of 14,141 square kilometres (5,460 square miles), 14% of the country. It is the second largest national park in Europe. Rivers divide the highland plateau to the north of the park. The volcanic table mountain Herðubreið towers over this particular region, along with volcanoes Askja, Snæfell and Kverkfjöll. The canyon Jökulsárgljúfur was carved out by glacial floods centuries ago. At the upper end of the canyon, you'll find Dettifoss, the most powerful waterfall in Europe. Further north, the horseshoe-shaped canyon Ásbyrgi is believed to have formed when Óðinn's eight-legged horse, Sleipnir, stepped his foot down from the heavens. 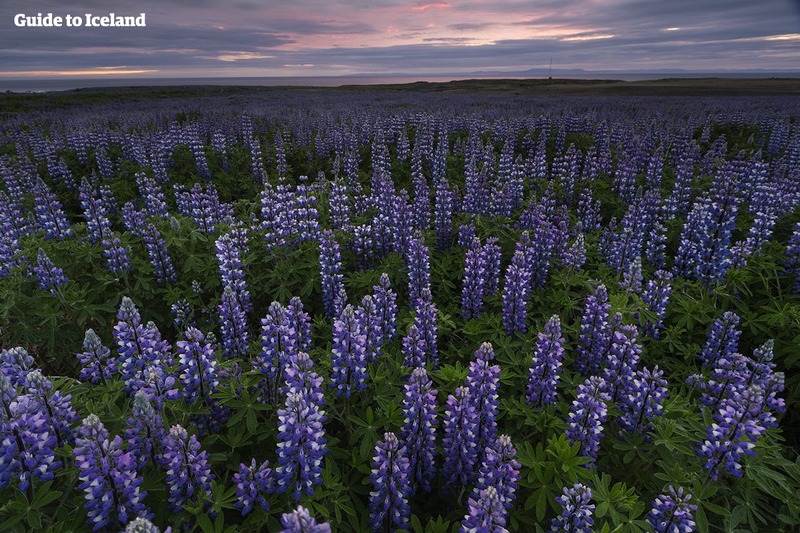 East around Snæfell, one can find wetlands and ranges, home to roaming herds of wild reindeer and abundant birdlife. Steep mountain ridges make up the south side of Vatnajökull, where outlet glaciers crawl onto the lowlands. The sandy plains of Skeiðarársandur also lie to the south, and the glacial river Skeiðará runs through this vast desert. 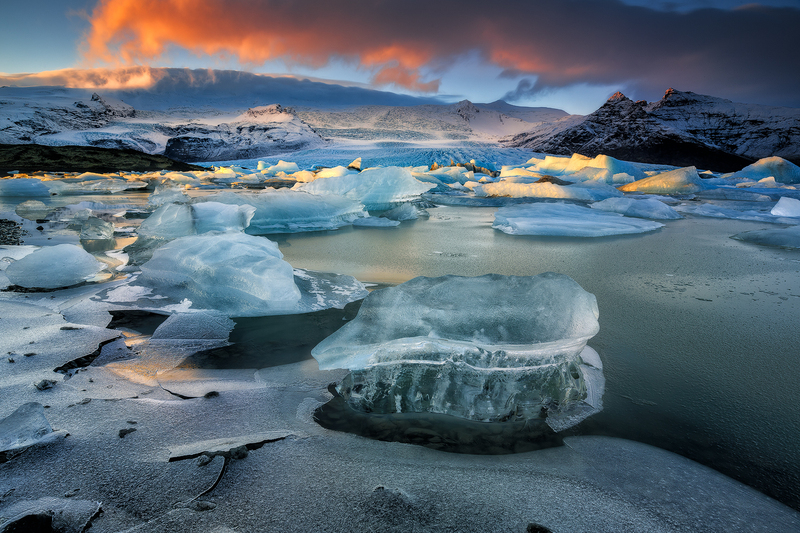 One of Iceland's most visited landmarks in the National Park is the Jökulsárlón glacier lagoon, which sits at the base of the outlet glacier Breiðamerkurjökull. Here, large icebergs that have broken off the glacier float across a vast lake before ending up in the Atlantic Ocean, or washed ashore on the nearby Diamond Beach. This is one of the best seal-watching spots in the country. The volume of Vatnajökull reached its peak around 1930 but has since been in a steady process of decline. Because of rising levels of global temperature, Vatnajökull has on average lost about a metre (three feet) of its thickness annually over the past 15 years. If temperature levels continue to rise, the glacier could be all but gone nearing the end of the next century, leaving only small ice caps on top of the highest mountain summits. Efforts are being made to prevent what some say is the inevitable, with reforestation projects going on all around the glacier, a proven method of cooling the area. Time will tell how successful they are. 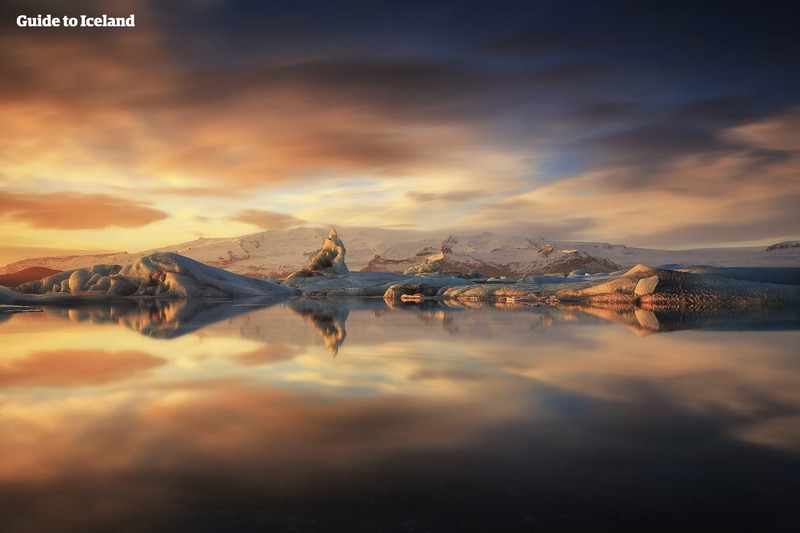 The beauty of Vatnajökull National Park has not gone unnoticed by those in film or television. Many famous scenes have been shot here, starting with James Bond: A View to Kill in 1985. Other notable films with scenes here include Batman Begins, Lara Croft: Tomb Raider, and James Bond: Die Another Day. Most famously, however, many places in Vatnajökull have been used in the HBO Series Game of Thrones, north of the Wall. The Wall itself is constructed with CGI using shots of the glacier. Mývatn is a beautiful lake with many small islands in the north of Iceland, the fourth largest lake in the country. Due to its serenity, birdlife and volcanism, the lake, including its surrounding area, is one of the most amazing natural attractions in the country. Mývatn is, in fact, so beautiful that is was used as a site in the Game of Thrones franchise. In mid-winter it was used to represent the lands North of the Wall, namely Mance Raider’s Wildling camp. Mývatn sits about an incredibly active geothermal area, giving it a unique and beautiful geology. 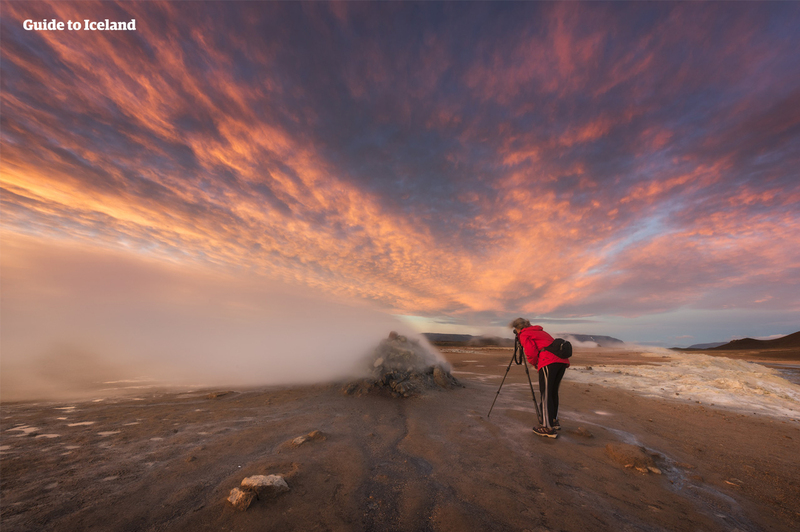 After all, it is close to sites such as Krafla caldera, which contains the notorious Víti volcano, the name of which translates to ‘hell’. Many of the islands here are thus pseudocraters, formed by steam explosions as magma rose beneath pockets of water, and many are bizarre basalt columns, rising vertically from the surface, formed by rapid cooling after an eruption. The high amount of geothermal activity beneath Mývatn, of course, presents the opportunity for bathing in naturally heated waters. This is best done at the Mývatn Nature Baths, a beautiful establishment with serene waters, incredible views, and a reasonable entry fee. Mývatn has some of the best bird-watching available in Iceland, although those seeking puffins will need to be at coastal cliffs such as those at Látrabjarg and Dyrhólaey, between May and September. In fact, Mývatn has more species of duck than anywhere else in the world, with thirteen nesting species and many more visitors. Most popular (and common) amongst these is the harlequin duck sometimes referred to as the white-eyed diver after their unique white markings. 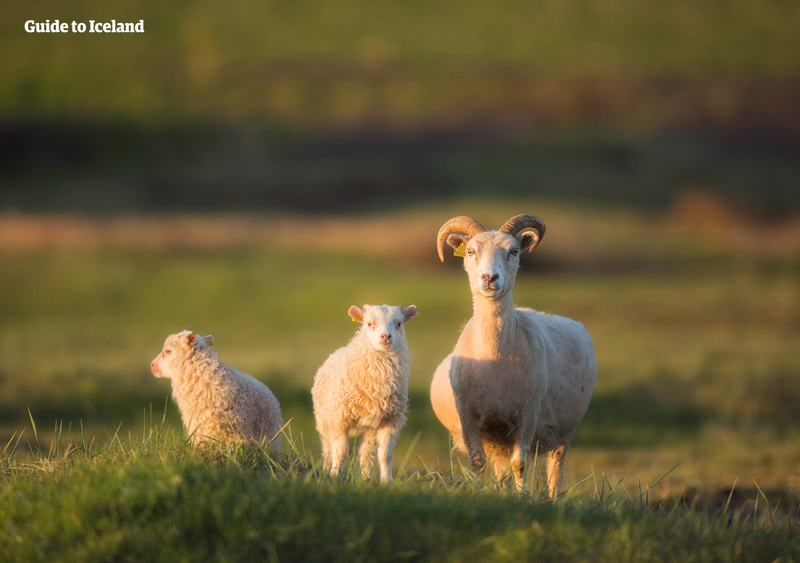 Mývatn’s surrounding vegetation and plentiful food make it a happy home for voles, mice and rats that have spread all over Iceland, providing tasty treats for Iceland’s only native land mammal, the Arctic Fox. Visitors, however, will have to keep a close eye out for these, as they are experts in camouflage. In terms of flora, the most interesting plant life at Mývatn actually exists just beneath the surface of the water. Marimo are ‘moss balls’, bizarre spheres of fluffy green algae that are found in very few other places around the world, namely Japan (where they got their name), Scotland, Estonia and Australia. Visitors to Mývatn often wish to spend more than just a single day exploring its many surrounding locations. Primary amongst these is Dimmuborgir, a lava field which truly reflects the dramatic consequences of a volcanism in Iceland. This area is steeped in folklore and is home to the thirteen ‘Santas’ of Iceland, the Yule Lads. It was also here that many of the Game of Thrones scenes were shot such as Mance Rayder's wildling camp at Dimmuborgir and Grjótagjá cave, where Jon and Ygritte shared an evening together. Though this site can be admired from the shore, the water temperature is not monitored and can heat up very quickly, so visitors are asked not to take a dip. Those with an interest in Iceland’s strange geothermal and geological sites should also check out the Skútustadagígar pseudo-craters and the aforementioned Víti crater and its surrounding lava field. There are also several geothermal hot spots around Krafla and the Námaskarð Pass which is a fascinating and primordial place. Lake Mývatn is located on the Ring Road that fully encircles the country, making further sites easily reachable. To the west is the ‘Capital of the North’, Akureyri, a charming town with the highest population outside of the capital area. To the east, you can find the largest waterfall in Iceland, Dettifoss which also happens to be the most powerful waterfall in Europe, and the incredible horseshoe-shaped canyon, Ásbyrgi. This feature was said to have formed by the stomping of one of the feet of Oðinn’s eight-legged horse as it leapt through the sky. Dimmuborgir, or the Black Fortress, is a dramatic expanse of lava in the Lake Mývatn area. Steeped with folklore, it is one of the most popular destinations for travellers to north Iceland. Dimmuborgir was formed in an eruption that occurred in the area 2,300 years ago; the Lake Mývatn area is highly volcanic, as can be further seen in nearby locations such as the geothermal Námaskarð Pass, the hot spring cave Grjótagjá, and the dramatic Krafla fissure. As lava flowed across the area, it passed over a lake, causing it to boil. This both quickened the cooling of the lava and caused pillars of steam to shatter parts of it. After it solidified, Dimmuborgir area became defined by large stacks of rock and many caves and caverns, caused by bubbles of intense steam. As such, many have compared Dimmuborgir to a medieval castle, with its many hidden chambers and its rising towers. In Icelandic culture, lava caves are allegedly the homes of the nation’s brutal and vile trolls. The most famous of these were the half-troll, half-ogre Grýla and her submissive husband Leppalúði. Grýla was renowned for her insatiable appetite for children, and her gigantic pet cat, that would eat children over the Christmas period for not getting any clothes (encouraging kids to finish their weaving, knitting and sewing chores before the season set in). Grýla and Leppalúði had thirteen sons who lived in Dimmuborgir and are now known as the ‘Icelandic Santa Clauses’ or Yule Lads. On the thirteen nights before Christmas, these trolls come one by one to terrorise Icelanders, each with their own strategy after which they were named. Sheep-Colt Clod, for example, would harass livestock; Skyr-Gobbler would steal and lick the house's supplies of yoghurt-like skyr; and Window-Peeper would stare into houses, looking for things to burgle. Like most frightening Icelandic stories, the Yule Lads were most likely created to keep children from going out into the cold Icelandic winter nights, where many disappeared without a trace for centuries. As the nation modernised, they became mischievous tricksters rather than devilish monsters. Now, they have been ‘Americanised’; rather than traditional Icelandic garb, they wear Santa costumes, and although they still steal skyr, they now also bring gifts. Due to Iceland’s remoteness and fondness for storytelling, the nation developed many unusual Christmas traditions. During the Christianisation of Iceland, Dimmuborgir developed a new set of tales. Many began to believe, due to its starkness, that it was where Satan landed when cast from heaven, and where he created the catacombs to hell. Dimmuborgir recently saw a surge in popularity, as it was featured on HBO’s Game of Thrones. In the series, it is where Mance Raider held his wildling army. It was shot here in winter. The popular Norwegian black metal band Dimmu Borgir is also named after the area. Ásbyrgi Canyon is a spectacular horseshoe-shaped depression in the northeast of Iceland, steeped in folklore. It is found only fifty miles east of Húsavík along the popular Diamond Circle route. This beloved natural feature measures approximately 3.5 kilometres (2.2 miles) in length and 1.1 kilometres (0.7 miles) in width. It is only a small corner of the extensive and dramatic Vatnajökull National Park, but undoubtedly one of its most breathtaking. Visitors to Ásbyrgi will quickly take note of the canyon’s 100 metre (328) feet high cliff faces, as well as the thick woodland of birch and willow below, creating an area quite unlike that found anywhere else across Iceland. Other tree species here include spruce, larch and pine, and there is a small lake called Botnstjörn which visitors can hike to. One of the canyon's most distinctive features is Eyjan ("The Island"), a 25m rock formation that divides Ásbyrgi for almost half its length. Geologists estimate that Ásbyrgi Canyon began to form roughly eight to ten million years ago, just after the last Ice Age, following a catastrophic glacial flooding of the Jökulsá á Fjöllum river. This flooding likely occurred due to a volcanic eruption beneath the ice-cap, Vatnajökull glacier. Later, only 3000 years ago, this process repeated itself, further sculpting the soul-stirring, spectacular gorge that we know and love today. With that being said, Icelandic folklore dictates an alternative theory, as it does with many of the landmarks around the country. Given the canyon’s horseshoe shape, legend has it that Odin’s eight-legged steed, Sleipnir, placed one of his feet on the ground here, leaving a deep imprint on the earth, as it sprinted across the sky. A wealth of art and literature has depicted Sleipnir as Ásbyrgi’s true creator. Other myths claim that Ásbyrgi is the capital city and true home to Iceland’s ‘hidden people’, the Huldufólk and elves. Many of Iceland’s folk stories revolve around these strange, magical people and the bizarre punishments and plots. Self-professed psychics have claimed that they can see and hear these mystical beings living in cracks and ravines of the canyon. Much more likely to be hidden in the woodland, however, are Arctic Foxes. Thankfully, a number of other fascinating attractions are easily accessible from Ásbyrgi Canyon. 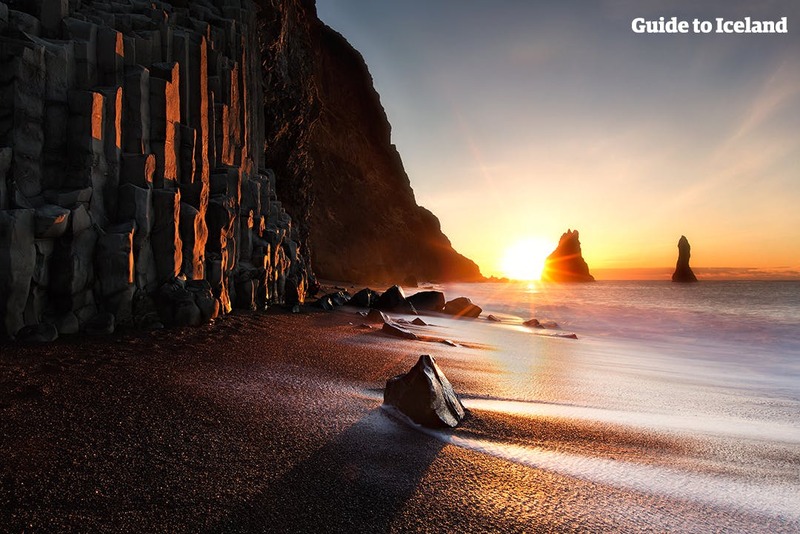 One could visit Hljóðaklettar, a strange and enchanting cluster of columnar rock formations located in the neighbouring Jökulsárgljúfur canyon. Nearby, there is also Europe’s most powerful waterfall, Dettifoss, a striking and mighty spectacle for any observer; glacial water from the Jökulsá á Fjöllum cascades 44 metres (144 ft) over the lip of the falls, culminating in a misty, roaring spray. The video below shows one of Iceland’s most famous post-rock bands, Sigur Ros, who chose to play an outdoor concert at Ásbyrgi in 2006, only adding to the area’s rich and ethereal atmosphere. This and the rest of their performances can be seen in the film Heima (2007). Dettifoss is a waterfall found in North Iceland, said to be the most powerful in Europe. It is regularly visited on Diamond Circle tours and should not be missed by any visiting the region. Dettifoss is fed by the powerful glacier river Jökulsá á Fjöllum which flows from the largest glacier in Europe, Vatnajökull. The thunderous falls has an average waterflow of 193 metres cubed per second (6,186 cubic feet). It is 100 metres (330 feet) wide and plummets 45 metres (150 feet) down into Jökulsárgljúfur canyon. This canyon is in the northern part of the greater Vatnajökull National Park, the largest national park in the country, thus Dettifoss is well protected. Also within this canyon, fed by the river of Jökulsá á Fjöllum, are two more impressive waterfalls, Selfoss (not to be mistaken with the southern town of the same name) and Hafragilsfoss. Dettifoss is located north of the Ring Road that encircles Iceland, bypassing only the Westfjords and Snæfellsnes Peninsula in the west. There are two routes that connect the Ring Road to Dettifoss. However, traversing those in the winter can be difficult, even with a four-wheel-drive vehicle. The most significant settlement near Dettifoss is the town of Akureyri, or ‘the Capital of the North’. With over ten thousand people, it is the largest town outside of the Greater Reykjavík Area. 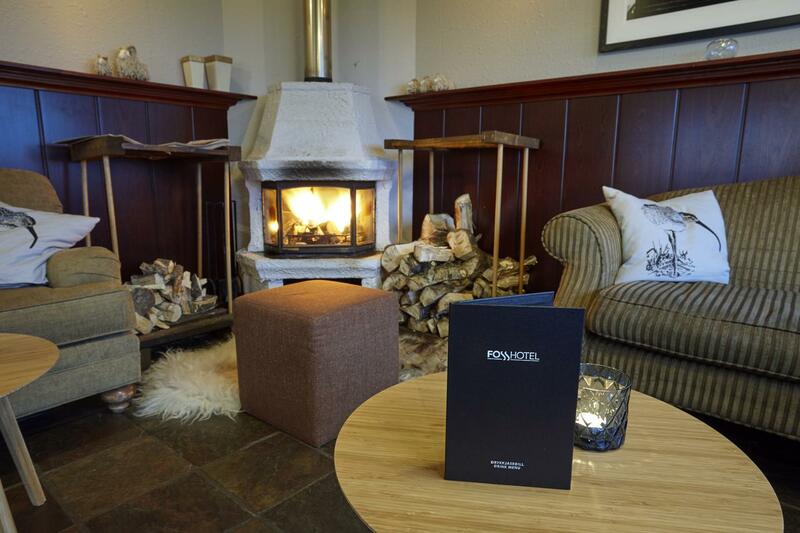 It is an excellent place to stop and rest for those visiting the North or encircling Iceland. Another town of significance in the area is Húsavík, a coastal town that claims the title of the best whale watching town in all of Europe. In summer, operators usually have 100% success rates in terms of sightings. The most common species are humpback and minke whales, white-beaked dolphins and harbour porpoises, although blue, fin, sei, beaked, pilot, beluga and killer whales are seen on rare occasions. Between Akureyri and Dettifoss is the Lake Mývatn area. This beautiful expanse is renowned for its wealth of flora and fauna, particularly its birdlife; dozens of species can be found here, particularly ducks. It is also renowned for its spectacular geology, with its pseudocraters, basalt pillars, and the lava field of Dimmuborgir which is said to be the home of Iceland’s thirteen ‘Santas’, who are traditionally vindictive trolls more than they are jolly gift-givers. Dimmuborgir and Mývatn were both used as a set in the Game of Thrones franchise, for many scenes North of the Wall. Dettifoss, meanwhile, was used in the opening scene of the 2012 film Prometheus, where the black rocks and dramatic scenery allowed it to represent an alien landscape. Another waterfall sits on the Ring Road between Akureyri and Mývatn: Goðafoss. Though not as great as Dettifoss, its history is deeper; it was there in 1000 AD that Iceland’s lawspeaker symbolised the country’s shift from believing in the Old Norse Gods to believing in Christianity by throwing idols into the waterfall. North of Dettifoss, one can find the incredible canyon of Ásbyrgi. This canyon is shaped like a giant horseshoe and filled with verdant greenery. It is so perfectly formed and dramatic that it was originally believed to have been created by the stomping of one of the hoofs of the eight-legged horse of the Old Norse God Odin. Skaftafell is a nature reserve located in Vatnajökull National Park in the south-east of Iceland. It is an oasis of this nation’s diverse landscapes and features, so beautiful it was once a national park in its own right. Skaftafell is notable for its rich flora, growing between sands and glaciers, and for its amazing, contrasting scenery. Visitors will find a wealth of natural attractions, from cascading waterfalls to glacier lagoons, geological formations to black sand deserts. The rugged region is known for its fantastic photo opportunities, with many awe-inspiring panoramic views. Like many areas along the South Coast of Iceland, Skaftafell Nature Reserve is known for its glorious hiking trails, often called a ‘hiking paradise’. Unlike in the Highlands, where hikes tend to go on for multiple days, here there are far shorter. There are easy treks that lead to diverse sites such as the waterfall Svartifoss which is surrounded by bizarre and beautiful basalt columns, as well as to glaciers such as Svínafellsjökull. With a qualified guide, it is an excellent region to try your hand at a spot of either ice climbing or glacier hiking; both activities are two of the most authentically Icelandic experiences you can partake in whilst in the country. 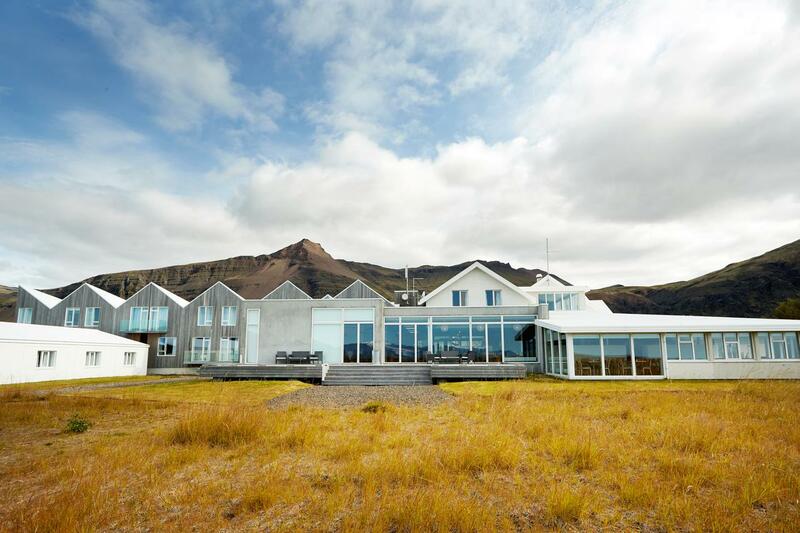 The nature reserve is also the perfect base camp for those seeking to climb Iceland’s highest peak, Hvannadalshnúkur, or for those wishing to spend a number of days exploring the region's attractions, including Vatnajökull glacier, Jökulsárlón glacial lagoon and the nearby Diamond Beach. Just off the Ring Road in the south-east of the country, it takes approximately four hours to reach Skaftafell from Reykjavík. The South Coast, however, is one of the regions most popular sightseeing routes, so the journey usually takes much longer, as visitors will want to make several stops along the way. 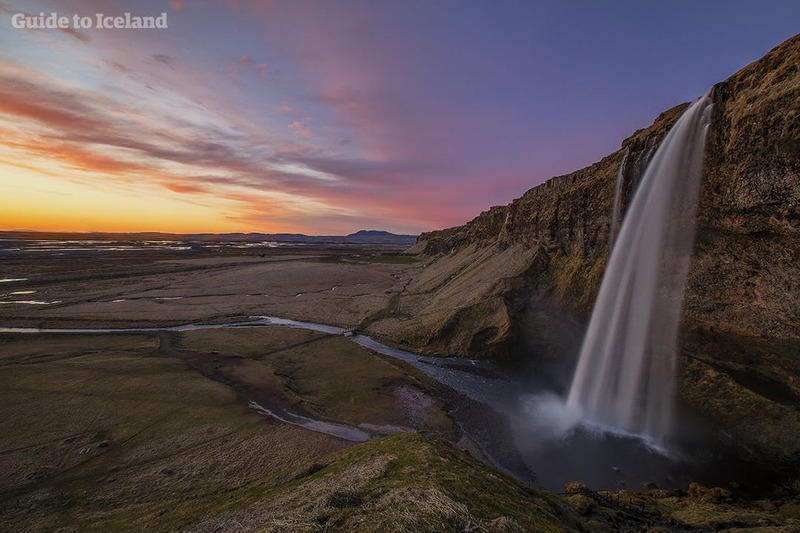 Examples of the beautiful natural features found en route to Skaftafell include the waterfalls Seljalandsfoss and Skógafoss, the glaciers Mýrdalsjökull and Eyjafjallajökull, the black sand deserts of Sólheimasandur and Skeiðarársandur, as well as the dramatic coastal rock formations at Dyrhólaey and Reynisdrangar. The villages of Vík and Kirkjubæjarklaustur are also along Route 1 if you need to stop and refuel on refreshments. Those who have made it all the way to Skaftafell will want to be sure to check out the Jökulsárlón glacier lagoon, a giant lake filled with enormous icebergs breaking from a glacial tongue, and slowly drifting to sea. At the nearby Diamond Beach you can watch them wash upon the shore, and in both the sea and lagoon are many seals which can routinely be spotted. You will find a Visitors Centre at Skaftafell which acts as the main information and meeting point for tour operators and independent travellers. At the Skaftafell Visitor Centre, you will find answers to virtually any questions you might have about the greater Skaftafell area, including its history and geology. The Visitors Centre also contains information about nearby hiking trails, recreational options and accommodation. There is also a hotel at Skaftafell, though it tends to book up very early. 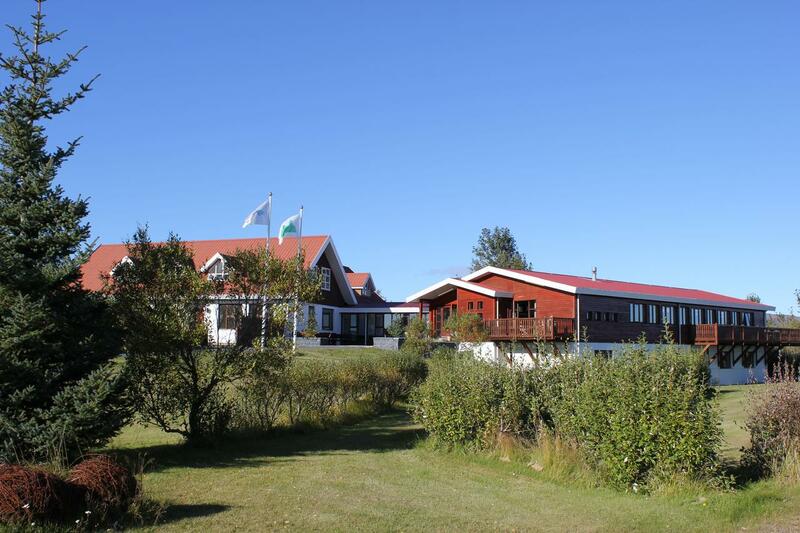 Luckily, the south-east is dotted with hotels, cabins and cottages in which you can stay, and the area is not far from the settlements of Höfn or Kirkjubæklaustur. Jökulsárgljúfur is a canyon in Iceland that was once its own national park; now, it is part of the greater Vatnajökull National Park. This ravine is best known for holding spectacular waterfalls. Jökulsárgljúfur canyon is best known for being home to the most powerful waterfall in Europe, the almighty Dettifoss. 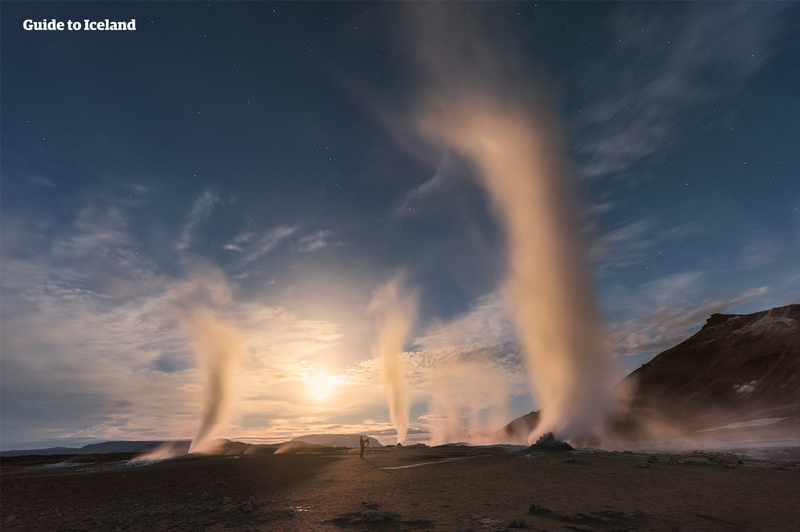 With a waterflow of 183 cubic metres (1970 cubic feet) per second, it is awe-inspiring, throwing off great plumes of mist and drenching those who get too close. Besides its strength, it is impressive in terms of its scale; the falls are about 100 metres (330 feet) wide, and 44 metres (144 feet) tall. The river that Dettifoss is a part of is called the Jökulsá á Fjöllum, the second longest river in Iceland. It holds two more waterfalls within Jökulsárgljúfur Canyon. Upriver from Dettifoss is Selfoss, not to be confused with the town of the same name in south Iceland. Downriver is Hafragilsfoss. Jökulsárgljúfur has many features that draw guests besides its waterfalls. Particularly of note is the ‘Rock of Echoes’, Hjlóðaklettur, where the lava twists into beautiful shapes and carries the sound in a mystical way. Rauðhólar, or the red mountain, is also worth visiting, due to its beautiful, vivid colouration. Just north of Jökulsárgljúfur is Ásbyrgi. This incredible feature is a vast, horseshoe-shaped canyon, filled with verdant forest. It is so dramatic that those who believed in the Old Norse Gods thought it was created when one of the hoofs of the eight-legged horse of the god Oðin came crashing into the earth. Jökulsárgljúfur is best visited by those staying in east Iceland, in a settlement such as Egilsstaðir, or in north Iceland, in Akureyri, Husavík or Lake Mývatn. Those travelling the Ring Road between these two destination will pass by it, and absolutely should make the detour to see it. Egilsstaðir is the largest town in East Iceland, with a population of 2464 people as of 2018. It is located on the banks of the river Lagarfljót in the wide valley of the fertile Fljótsdalshérað district. Egilsstaðir is the main centre for service, transportation and administration in East Iceland. 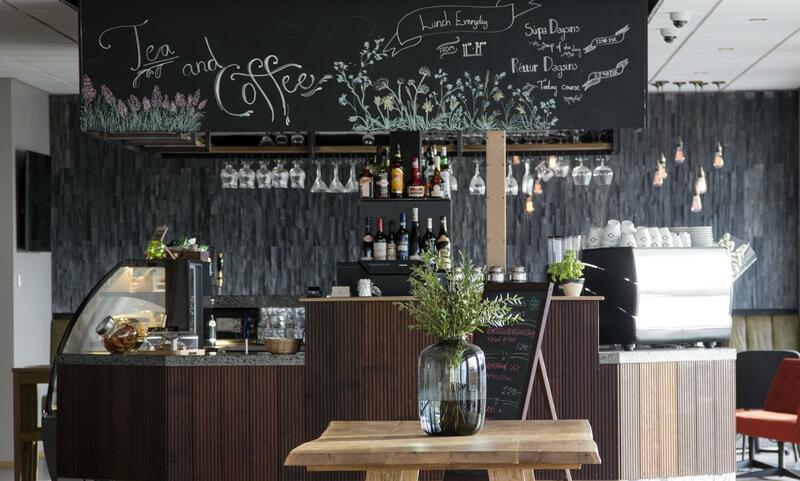 It is, therefore, an ideal place for those who are travelling around the Ring Road of the country to refresh and rest. It has excellent connections to remote and little-travelled East Fjords, and to Vatnajökull National Park. 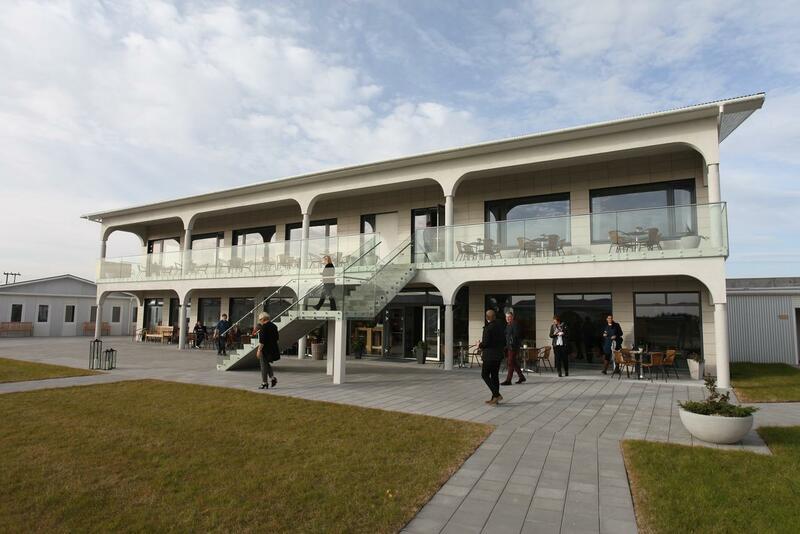 Egilsstaðir provides all basic services for travellers, with a supermarket, souvenir shops, hotels, an information centre, restaurants and tour operators. It also boasts a quaint and popular Heritage Museum, which has several remodelled turf-houses, replicas of the homes Icelanders lived in for centuries. The town also features an airport which is mostly used for domestic flights, although an increasing number of international airlines are beginning to fly there. The town also boasts a college and a health centre. Egilsstaðir also has an annual electronic music festival, Hringrás; the Orsteiti Town Festival; and a jazz festival. Close to the town of Egilsstaðir are two of Iceland’s little-known gems: its largest forest, Hallormsstaðaskógur, and a mysterious lake, Lagarfjlót. Hallormsstaðaskógur covers 740 hectares, and is composed of over eighty different species of tree from all over the world; the rate it has grown at is astonishing, considering that in 1910 it was simply a copse in a protected paddock. It is a favourite destination for hikers and bikers, with over 40 kilometres (25 miles) of marked paths. It is also a favoured spot for birdwatchers, due to the dozens of species indigenous to the area. Lagarfjlót, however, has more appeal to the superstitious. Since the 14th Century, there have been many reports of a great wyrm living in its depths, and sightings of this mythical beast continue to this day. A little further afield from Egilsstaðir, you will reach the magnificent East Fjords. Like the Westfjords, this is one of the most remote places in the country, and as you wind around the giant mountains and look across the sparkling bays, there will often be no other soul in sight. Those travelling the East Fjords should be sure to soak up the culture of the fishing villages, the magnificent views, and the extensive wildlife. Looking towards the sea cliffs will provide plentiful opportunities to see many species of nesting bird; on the shores you may see colonies of seals; and out amongst the waves, perhaps even the breaking fin of a whale or dolphin. This is also the only place in the country where reindeer can be found. Brought over initially to be farmed for meat, the industry was never as lucrative as sheep and horse farming, so the animals have roamed in their herds ever since. Travelling north from Egilsstaðir on the Ring Road takes you into the Highlands of Vatnajökull National Park. In this region, you can find features such as Jökulsárgljúfur Canyon, home to the most powerful waterfall in Europe, Dettifoss. 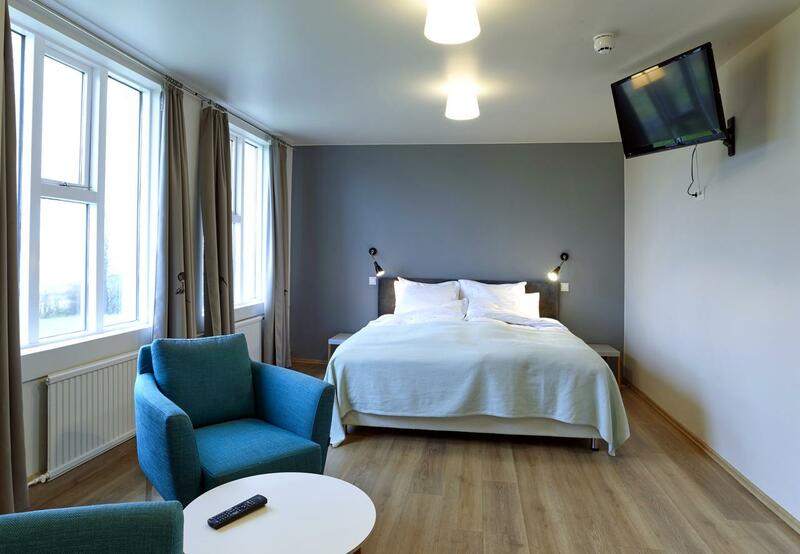 If driving around the Ring Road of Iceland yourself in a clockwise direction, and you are planning to stay the night in Egilsstaðir, the most convenient and beautiful places to spend the night or two before that would be either in the towns of Akureyri or Húsavík, or the Lake Mývatn Area. If travelling counter-clockwise, the best locations are at the Jökulsárlón Glacier Lagoon and Skaftafell National Park in the southeast. The Námafjall Geothermal Area is located in Northeast Iceland, on the east side of Lake Mývatn. At this area, also known as Hverir, you will see many smoking fumaroles and boiling mud pots, surrounded by sulphur crystals of many different colours. This sulphur gives the area an overwhelming smell of egg. The soil in the area has little vegetation due to the acidity caused by these geothermal processes. Around the area is a small hiking trail up to Námaskarð pass and Námafjall mountain, which returns to the highway and the parking lot. In 1969 a geothermal power plant was built west of the Námafjall Area. The plant currently produces 3MW of geothermal energy. Concerns have raised over current plans to expand the plant to 90 MW. In particular, there have been worries in regards to the effect of the plant on the delicate ecosystem of Lake Mývatn. The head of an environmental NGO has recently called for a new environmental impact assessment on the plans, and the matter continues to be debated. Námaskarð Pass is a geothermal area on the mountain Námafjall, in north Iceland, less than half an hour’s drive from Lake Mývatn. It is located by Route 1, which encircles the country. Connected to the Krafla volcano system, Námaskarð is home to many hot springs and fumaroles. Námaskarð is notable due to its barrenness; no vegetation grows on its slopes. This is due to the heat beneath the earth, the acidity in the soil, and poisonous fumes being expelled. That is not to say, however, that the site is dull; its life comes from the vivid colours that streak through the earth, dyed by the elements brought up with the steam. Expect to see shades of red, orange, yellow and green, particularly concentrated around the springs themselves. The air smells intensely of sulphur throughout the area, which, while unpleasant, is a constant reminder of the powerful forces at work beneath your feet. Though it would be damaging for your health to spend too long breathing it, a visit for a few hours will not cause any problems. While exploring Námaskarð, be sure not to touch any of the running water, as it is likely to be boiling. Also, give all the hot springs a reasonably wide berth, as the land surrounding them may be unstable, with scalding steam just beneath the surface. Námaskarð is about 400 metres (1312 ft) above sea level. Námaskarð is situated between the mighty waterfalls of the Jökulsá á Fjöllum river (which include Europe’s most powerful waterfall, Dettifoss) and the Lake Mývatn area, making it a natural part of anyone’s itinerary if they are exploring the north from Akureyri or Mývatn. Those travelling the Diamond Circle are also encouraged to make a stop here if they have time. Lagarfjlót is a narrow lake in the east of Iceland, also known as Lögurinn. This feature is best known for its natural beauty, its fishing, and its folklore. No doubt the most fascinating thing about Lake Lagarfjlót is its folklore, and the feature has long attracted the superstitious to East Iceland. According to legend, the deep lake is said to hold a beast called the Lagarfljót Wyrm, a cousin of the Loch Ness Monster with a lot more history. While the earliest significant records of Nessie go back to the 1870s, the Lagarfjlót Wyrm has been spoken about since 1345. Even today, videos and photos emerge of disruption at the surface of the lake, said to be the venom spitting beast. While most are attributed to logs, currents, ice and wind, there are a few that have experts puzzled, with no concrete answer as to what they could be. As such a little culture has arisen around the lake, and you can see figurines and sculptures depicting different interpretations of this elusive serpent. Of course, however, there has been no concrete evidence to suggest anything lives in the lake other than trout and other fish. If you are interested in fishing for these, you will need a license. Any visitor to East Iceland will no doubt see Lagarfljót, as it is located right next to the Capital of the East, Egilsstaðir. This is the region’s largest town and its commerce centre. Many of its accommodation options are set against the lake edge. Iceland’s largest forest, Hallormsstaðaskógur, also sits on its shores. This is an amazing place for birdwatching, and where the forest and lake meet, one can find a wealth of ducks, geese and other water birds. Lake Lagarfljót is also near to the beautiful falls Hengifoss. 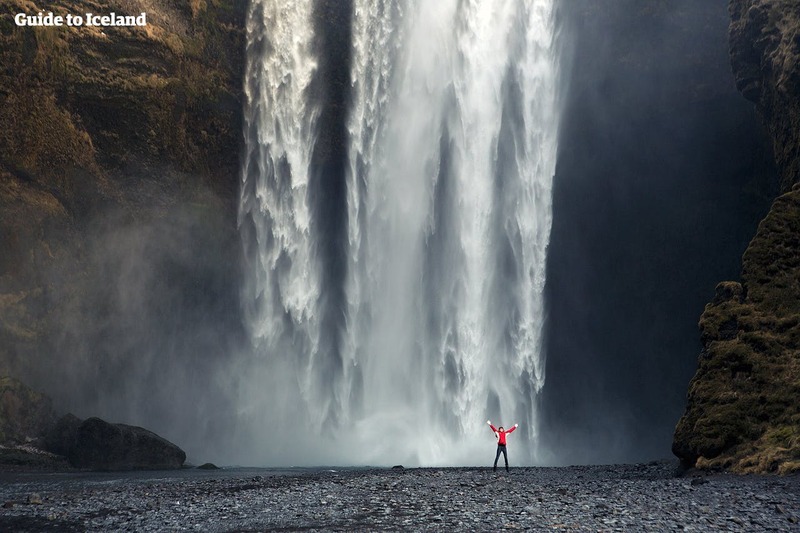 This is Iceland’s third tallest waterfall, with a height of 128 metres (420 feet). Hallormsstaðaskógur is Iceland's largest national forest, found in East Iceland near Egilsstaðir. The area is a famous for its pleasant hiking trails, wildlife and collection of tree species. For a largely treeless landscape, a forest in Iceland is something of an enigma. The nation was once covered in woodland, but the overuse of wood saunas by the early settlers, followed by several great volcanic eruptions, meant that for centuries, the land has been quite barren. However, the reforestation service of Iceland has sought to change this. It cares for 53 patches of public access land, most of which are easily accessible for travellers on the Ring Road. Hallormsstaðaskógur is their largest success story, with trees covering 740 square kilometres (286 square miles). Initial experiments in planting trees began as early as 1903, though large scale cultivation truly began in 1950. In 1905, Hallormsstaðaskógur was labelled a protected forest. Ever since then, the forest has been greatly venerated by the local population as an area of respite from the often barren, volcanic terrain of the island. Common tree species include native dwarf birch and mountain birch, as well as over 80 different species of tree brought from 177 locations overseas. Birds such as redpolls, goldcrests and ravens all use the forest as a sanctuary from predators, with red wings, snipes and meadow pipits joining the fray in the summer months. The area also presents opportunities for botany, as well as berry and mushroom picking. Streams running through the forest are perfectly drinkable spring water. In June, Hallormsstaðaskógur hosts Skógardagurinn, or “Forest Day”, a weekend of accordion music, active festivities and competitions amongst the birch trees. Here, festival-goers can enjoy logging competitions, grilled lamb served by local farmers, art exhibitions and even mini-marathons (one 4 kilometres (2.5 miles) long, the other 14 kilometres (nine miles). The Skógardagurinn celebrations are a fantastic treat for all the family and provide great insight into the culture of Iceland’s less visited regions. 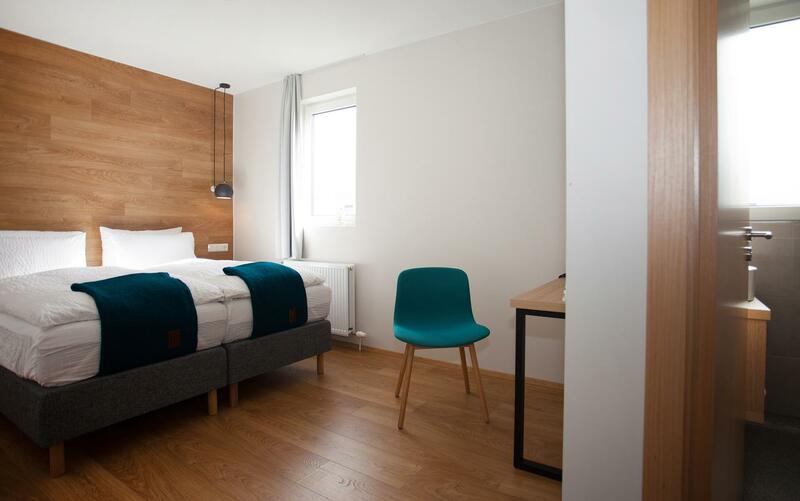 There are two camping areas in Hallormsstaðaskógur: Atlavík, located in the picturesque tree cover of the inner-forest, and Höfðavík, a site providing a more luxurious standard of service for visitors. Hallormsstaðaskógur is located near to the town of Egilsstaðir, the capital of East Iceland, and the perfect point from which to explore the region. Iceland has one main road: Route 1, or the Icelandic Ring Road. This ring road goes all around the island and is 1,332 kilometres long (828 miles), allowing visitors to see all regions bar the Westfjords and Snæfellsnes Peninsula. Perhaps most importantly, the road connects the capital, Reykjavík, to the second biggest city in Iceland, Akureyri, in the north of the country. Other notable towns that are connected via the ring road are Borgarnes, Blönduós, Egilsstaðir, Höfn, Kirkjubæjarklaustur, Vík, Hella, Hvolsvöllur, Selfoss and Hveragerði. A number of popular tourist attractions are also found by the ring road. In the south, drivers will pass the waterfalls Seljalandsfoss and Skógafoss; the glaciers Mýrdalsjökull and Eyjafjallajökull; the black-sand-beach of Reynisfjara, and the Jökulsárlón glacier lagoon. In the east, there is the largest forest in Iceland, Hallormsstaðaskógur, and the lake Lagarfljót, said to contain a monster, records for which date back centuries before the Loch Ness Monster. In the north, the most notable features are Lake Mývatn and Goðafoss waterfall. In the west are many historical settlements and beautiful fjords. The road was completed in 1974, with the opening of Iceland's longest bridge, which crosses Skeiðará river in southeast Iceland. In 1998 a tunnel below the fjord Hvalfjörður shortened the drive around Iceland by about one hour and it offers a straight and easy alternative to a winding fjord. The Hvalfjörður tunnel is the largest tunnel in Iceland, 5.8 kilometres (3.6 miles) long and an impressive 165 metres (541 feet) below sea level. The ring road has two other tunnels; Almannaskarð in the southeast by Höfn, and the Vaðlaheiðar tunnel in north Iceland which shortens the drive from Akureyri to Húsavík by 16km. In wintertime, The Icelandic Road and Coastal Administration tries to keep all of the Ring Road is kept open. However, parts of it can be closed in extreme weather. The ring road consists mainly of paved two lanes road (one each direction). Some sections of the ring road are original 1940s country roads demanding caution when driving with features such as many sharp curves, blind curves, blind summits as well as single lane bridges. The speed limit is 90km per hour on the paved section of the road (lower when it passes through towns), and 80km per hour on gravel. The ring-road can be driven in a two-wheel-drive throughout the year, but it is highly recommended you rent a four-wheel-drive if travelling between October and May. Guide to Iceland would advise people to drive cautiously on the ring road both in summer and wintertime, but also to explore other roads leading from it to multiple attractions. Be sure that if you want to stop to take a picture, make sure you have turned off into a safe parking area. Stopping on the Ring Road itself can be very dangerous for you and other travellers using it. The Eastfjords of Iceland is a 120 kilometre (75 mile) long stretch of coastline from Berufjörður, in the south, to the small fishing village of Borgarfjörður Eystri, in the north. Out of Iceland’s total population of 335,000 people, only an estimated 3.2% live in the East Fjords. Locally referred to as "Austurland," or "Austfirðir," the total area covers 22,721 square kilometres (8,773 square miles). Often overlooked by visitors, the Eastfjords represent the very best of what Iceland has to offer; fantastical scenery, remote fishing villages, sparkling lakes, dense forests and traditional farms. Boasting the sunniest weather in the country, as well as some of Iceland’s most well-known wildlife, this region is perhaps best known for its herds of wild reindeer, its breathtaking coastlines and its promise of tranquil solitude. Papey (“Friar’s Island”) is an uninhabited island located off the east coast of Iceland. The island is approximately 2 square kilometres (0.8 square miles) with its highest point measuring 58 metres (190 feet) above sea level. Boat trips to Papey depart every summer from Djúpivogur. The island is named after Gaelic monks (“The Papar”) who are thought to have inhabited the island long before the Norse settlement. What is known for sure is that Papey was lived upon from the 10th century until the year 1966 when the island’s residents finally moved to the mainland. For centuries, Papey’s residents had supported themselves on fishing for shark, hunting seals and puffins, and tending to their farmsteads. In later years, the residents would also harvest down from Eider Ducks living on the island. Today, visitors to Papey can enjoy the large puffin colonies that still live on the island, as well as the remnants of the former settlement; a lighthouse, church and weather station all still exist much as they did in 1966. Those arriving in Iceland by ferry from mainland Europe or the Faroe Islands will make port at Seyðisfjörður, a town famous for its ornate wooden architecture, Scandinavian influence and historical herring-fishing industry. In fact, much of the timber used to develop Seyðisfjörður was shipped over by Norway ready-made in the 18th century. Populated by around 700 people, Seyðisfjörður is surrounded by pounding waterfalls, flat-top mountains and serene hiking tails, complimented by gorgeous panoramas over the adjacent fjord. Other activities available from or near Seyðisfjörður include scuba diving, skiing, sea angling, paragliding and horseback riding; there is even a number of cultural exhibits including the Fjarðarsel Power Plant Museum and the Skaftfell Centre for Visual Arts. The Eastfjords are packed with fantastic cultural landmarks, such as Hallormsstaðarskógur, the country’s largest forest, found just on the eastern shore of Lake Lagarfljót. If you enjoy pleasant walks through nature, you could also visit the hiker’s paradise, Borgarfjörður Eystri, the supposed homes of elves and Iceland’s ‘hidden folk’. Visitors can also enjoy the black sand beach of the charming fishing village of Breiddalsvik and take a trip to the longest and widest valley in Iceland, Breiðdalur. For something a touch more relaxing, one could also take a soothing dip in the swimming pool at Selárlaug; the pool is surrounded by mountains and beautiful views over the fjord, making this one of the more authentic experiences available in the region.